Moisturizes, matifies and reduces skin marks-imperfections, enlarged pores. The skin is rebalanced, the complexion uniform and illuminated. 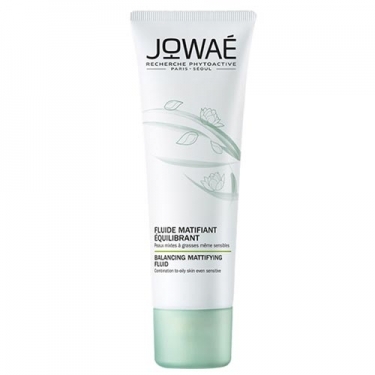 DESCRIPTION: Fluid Matifiant Équilibrant from Jowaé is a balancing mattifying fluid that moisturizes, matifies and reduces skin marks. Suitable for combination to oily skin, even the most sensitive.